Last week our English – Polish interpreter, Magda, met with a Polish client at a law firm in Manchester, to assist him make an enquiry about a personal injury claim. He had recently suffered an injury working as an electrician for a company, contracted to build a new supermarket. Unfortunately, his workday went terribly wrong. Five days ago he was instructed to work alone in the basement, and rewire the main circuit box. He was electrocuted and suffered third-degree burns to his hand. Since then has been out of work, in a lot of pain and encountered consequent financial difficulties and depression. 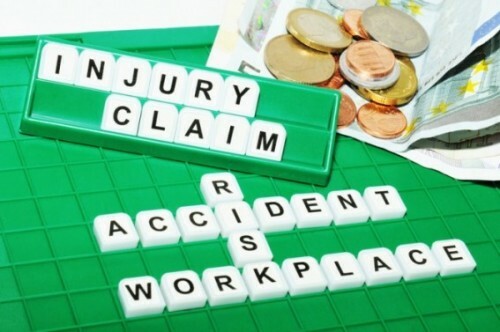 The client was confused about whether he could claim compensation for his injuries. Magda reassured him that physical injuries, such as his scolded hand, loss of mobility as well as his psychological trauma, resulting in anxiety and depression, would be claimed for. Since the electrician company did not follow the proper safety precautions to prevent our client from electrocuting himself, and he was working unaccompanied at the time of the accident, the personal injuries claim lawyer confirmed that the client had a strong case. Magda interpreted between English and Polish to enable successful communication between the lawyer and client, concluding that a personal injury claim must first be lodged, stating that the accident was a result of the company’s negligence. Magda went on to translate to the client that there are various types of compensation claims including Work Cover claims, insurance claims, lump sum payouts, and so on. In many cases, the client doesn’t have to pay legal fees if his lawsuit is won – what’s called a ‘’no win, no pay’’ arrangement. However, it can take up to 12 months to settle so everyone involved needs to be patient. At the end of the meeting, the Polish client was keen to proceed with his personal injury claim, so Magda told the lawyer in English to start to prepare the case and arrange for the appropriate medical assessments in support of his claim. Zürich: A Multikulti Hub in the Heart of Europe.